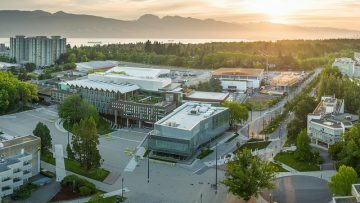 UBC School of Kinesiology (sports-related subjects) is ranked 4th in the world (and 1st in Canada) in the 2018 QS Rankings. This ranking covers sports (or exercise) science, sports studies, and kinesiology – as well as sports psychology and sports management in certain cases. QS World University Rankings annually publish global overall rankings as well as 48 subject rankings. The QS Rankings, along with the Academic Ranking of World Universities and the Times Higher Education World University Rankings, are considered the three most widely read university rankings in the world. The QS World University Rankings by Subject are based upon academic reputation, employer reputation, and research impact (read the full methodology).